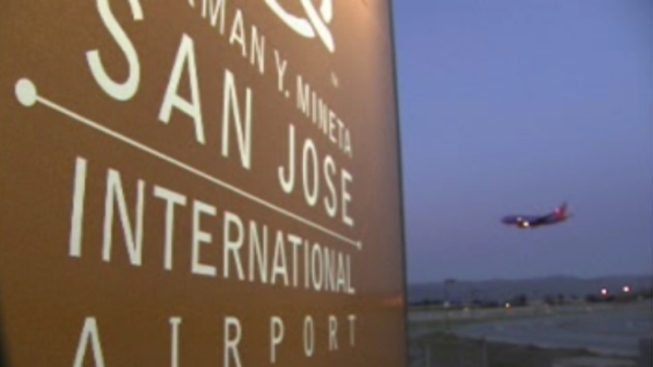 A Federal Aviation Administration audit that accused the city of San Jose of illegally redirecting funds from the Mineta San Jose International Airport languished for years after it was written, the Investigative Unit has learned. The FAA has yet to issue a final audit after it initially presented a critical draft audit to the city in 2010. Current and former city and federal employees say the delays and wasted tax dollars paint a picture of government “not” at work. Charging the airport $11.5 million in “unnecessary rental costs” for 52 acres of city property near the airport. Failing to comply with federal guidelines in managing nearly $80 million of land purchased with federal grant money. Although the city manages the airport, federal rules prevent it from cashing in on the airport's success. San Jose City Manager Debra Figone agrees the accusations of revenue diversion are serious, but says they are without foundation. Although the city says it’s done nothing wrong, within the last year, city leaders decided to return $5.6 million—a payment for overcharging the airport for services—and cut future fees it charges the airport by 54 percent. Even though the audit prompted the city of San Jose to make changes in its cost-allocation structure, the audit itself also raises questions about the credibility of the FAA. The first sentence of the report misstated the city as “San Diego” and the airport as the “San Diego International Airport” when referring to San Jose. San Jose Airport Aviation Director Bill Sherry said the FAA’s mistake makes him wonder about the efficiency of the administration, and added that he believes the audit required more of a “collaborative process” between the city and the FAA. But the NBC Bay Area Investigative Unit has found the collaborative process remains stalled and the highly critical audit remains incomplete more than three years after taxpayers funded a two-week visit by FAA auditors to San Jose to draft the first report. The Investigative Unit’s review of hundreds of pages of emails between the city of San Jose and the FAA exposes and explains some of the government breakdowns. A June 2010 email from one of the FAA auditors reads: “Sorry for the long delay—our office is understaffed.” In another email from August 2011 Sherry writes, “No communication, either written or oral, occurred until February 2011.” The correspondence exposed an unexplained seven-month period of no activity. Sherry said from the airport’s perspective the delay is not “one of the finer aspects of government” and added that all parties involved would have liked to have completed the audit by now. The FAA conducted a compliance review of San Jose International Airport in 2010, and is working with the airport and city to address issues we identified during that review. The FAA has not completed its review and has not reached any final conclusions as a result of that review. Sherry believes there is room to improve and admitted that staffing issues at the city and the airport have also contributed to the delay. “Hopefully future audits won’t go on for three years,” Sherry said. The FAA has not reached any final conclusions as a result of the airport review. If you have a tip or comment for Chief Investigative Reporter Tony Kovaleski or Investigative Producer Elizabeth Wagner you can email them at tony.kovaleski@nbcuni.com or elizabeth.wagner@nbcuni.com. If you have a tip for the Investigative Unit email theunit@nbcbayarea.com or call 888-996-8477.